Next week I will be attending a baby shower of a friend of mine. Now, I don’t typically knit for babies, but since I don’t knit much in general any more, and because I am on a forced cycling break due to injuring my back, I thought it might be fun to knit the 5 hour baby sweater….and time myself. 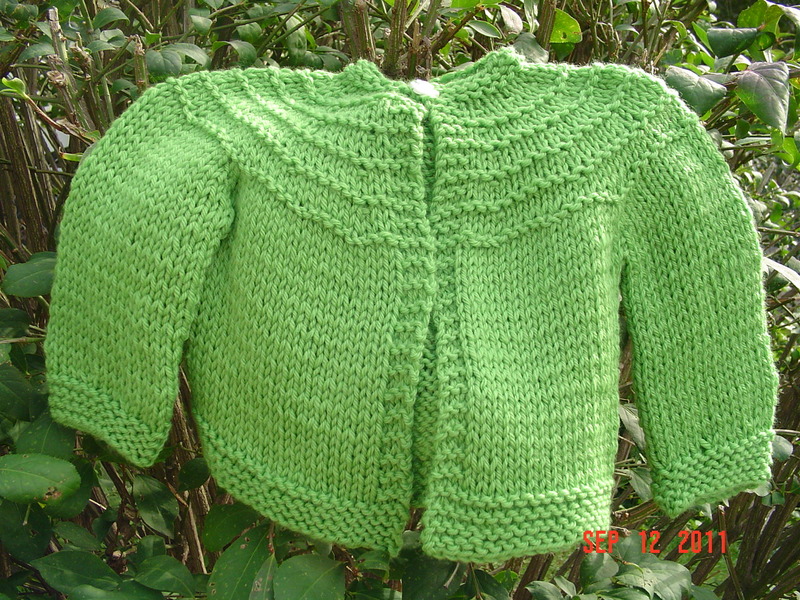 I am not sure if this baby will be a boy or a girl, so I used the “boy” pattern (sans holes) and used knitpicks swish worsted in green. I had this in stash already, and using stash yarn thrills me to pieces these days. I did time myself, and took lots of breaks. Even so, there was a point almost 3 hours in where I wondered why I was knitting a baby sweater in one day. It just seemed…boring. But I muddled through even so, and am fairly pleased with the results. 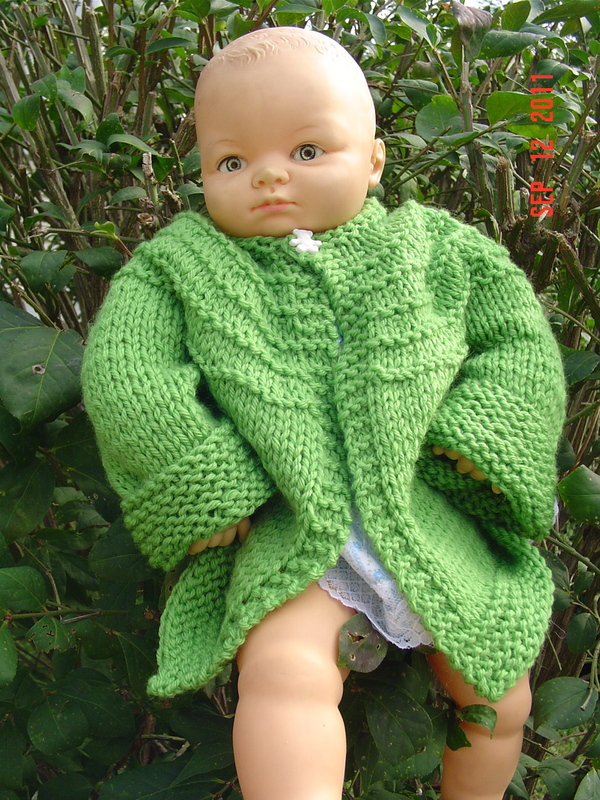 I loved how the seaming takes place as you are knitting the sweater. It does indeed feel like the entire project goes faster that way. My final time? 4 hours and 29 minutes. Which actually was faster than I expected. In other news, the commission sweater continues along. And “long” being the key word. I do try to work on it daily but it is a bit of a slog right now. I am working my way up the yoke though, and I feel confident I’ll be done pretty soon. The goal is in the next 2 weeks.